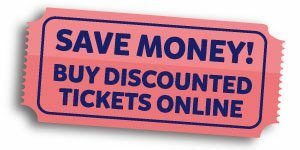 Buy your tickets online and save, there is a small booking fee per transaction but it is still cheaper than buying your tickets at full price on arrival to the Aquarium. Buy with your Clubcard points! Great News for TESCO Clubcard holders, you can now use your points to buy tickets to Blue Reef Aquarium Portsmouth! Just bring along your Clubcard vouchers to reception and redeem the value on the door (cannot be bought online). 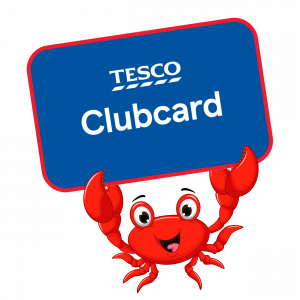 Click here for all the details you need to put those clubcard points to some fish-tastic use! If you have 15+ paying visitors please telephone for our special group rate! Call our friendly team on 023 9287 5222. We offer £2 off per ticket for up to 6 people (maximum £12 saving) to those in the armed forces. Just come along to the Aquarium with your valid ID to get a discounted visit to our underwater world! You need to buy tickets on arrival to the Aquarium and terms and conditions apply. For more information please contact the team or just pop in!